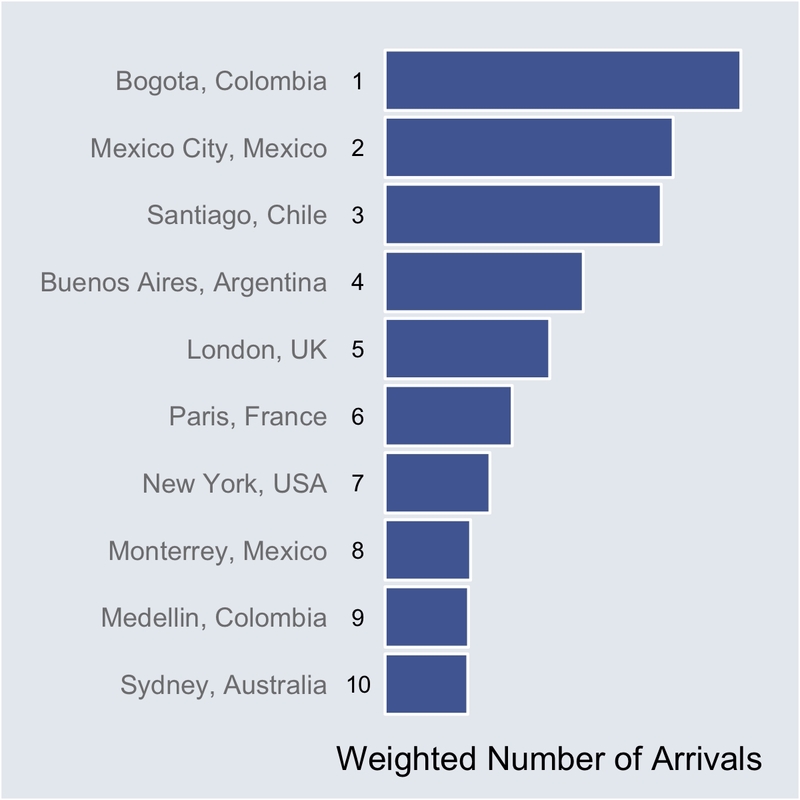 The Facebook Data Science Team turned its attention to check-ins at 2014 FIFA World Cup Brazil, studying how many users of the social network checked in at the various World Cup cities in Brazil between June 2 and 16, where they came from, and who they are. 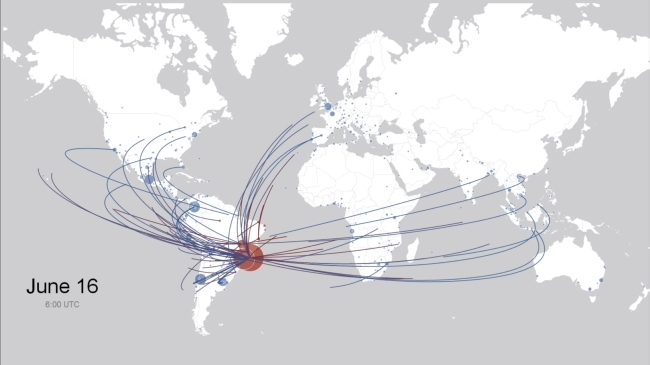 The information is presented in the visualization below, with each arc representing the journeys of 20 Facebook users who traveled from their home cities (represented in blue) to World Cup cities (in red), with the size of circles dependent on the number of check-ins. 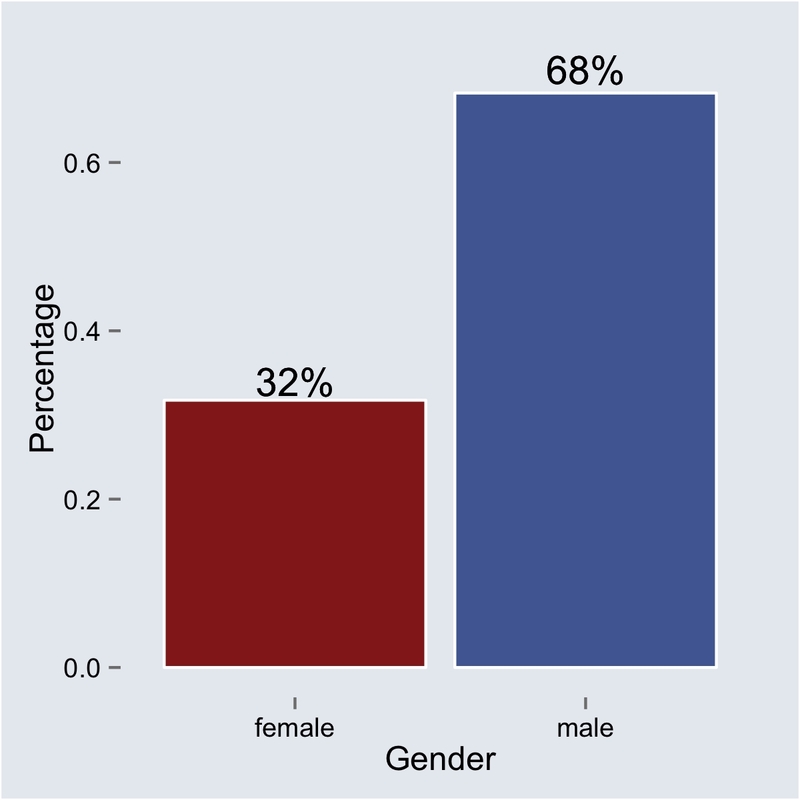 According to the Facebook Data Science Team, 68 percent of the check-ins were from male users, and 32 percent from female users. 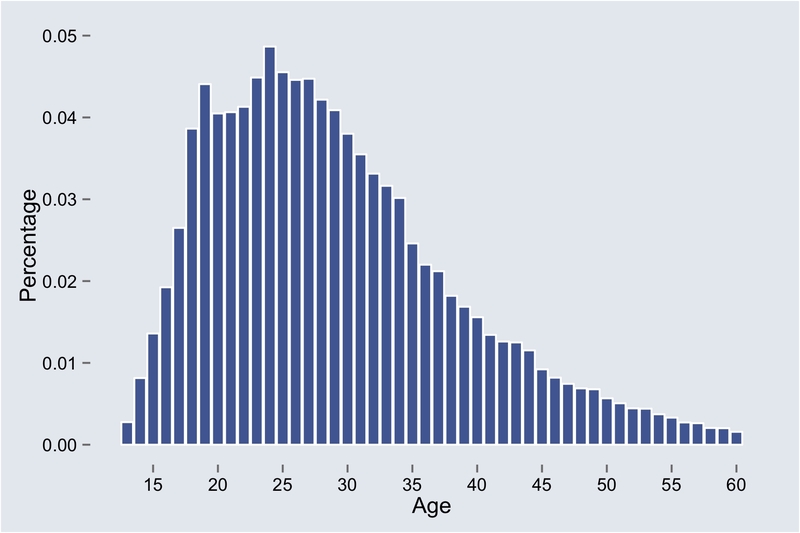 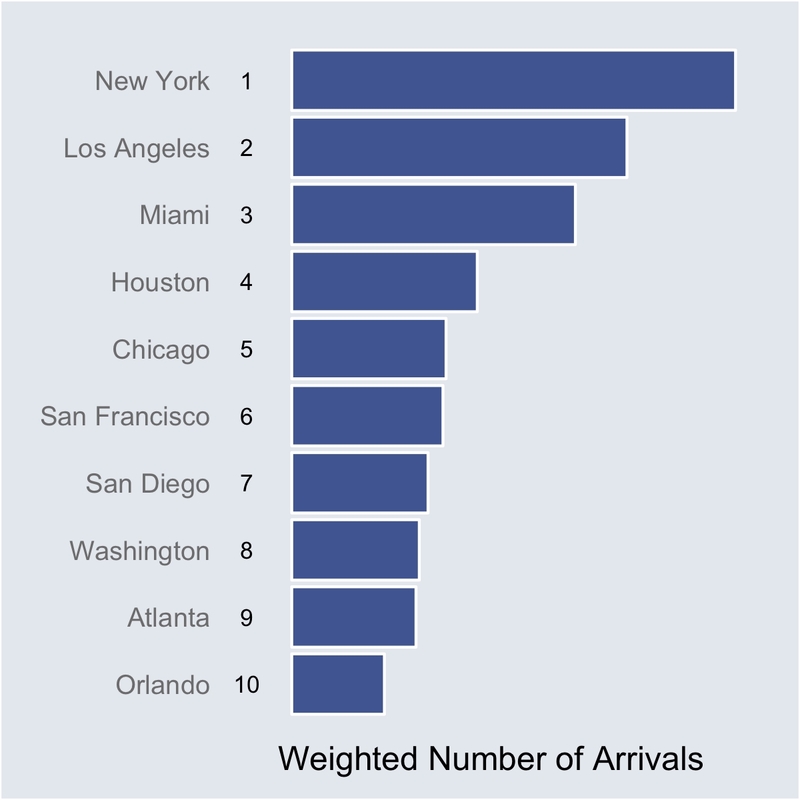 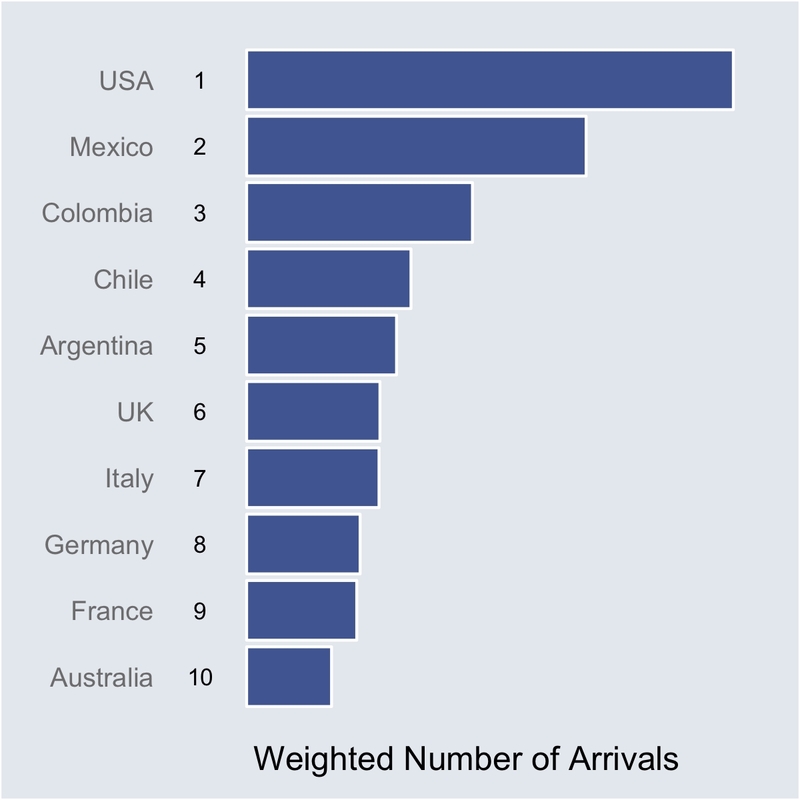 Readers: Did any of the findings on World Cup check-ins by the Facebook Data Science Team surprise you?